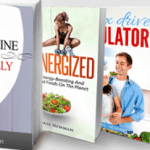 French Wine For A Flat Belly (Flat Belly Revolution) Review: SCAM Warning! You are here: Home / Blog / French Wine For A Flat Belly (Flat Belly Revolution) Review: SCAM Warning! Is French Wine For A Flat Belly by ‘Tom Newman’ a scam or not? Based on my investigation and available evidence, I have cause to believe that it is a well-optimized fraudulent product designed to pass Contra Health Scam’s standards. In this review you will find out what I mean, and the reasons why you should NOT spend your money on this product! Created in January 2017, French Wine for a Flat Belly (aka Flat Belly Revolution) claims to have ‘stumbled upon the biggest breakthrough in the history of weight loss.’ This supposed ‘breakthrough’ enabled his 47-year old obese, stroke-stricken, prediabetic, hypertensive, suicidal sister ‘Sarah’ to lose ‘2 pounds of belly fat overnight, 11 pounds in her first week, a whopping 47 pounds of weight in just 30 days, and reverse all of her health problems, permanently. Now what is this miraculous ‘breakthrough’? French wine! The man in the video calling himself Tom Newman claims he’s a Second Iraq War vet who took part in ‘Operation Iraq Freedom and the capture of Saddam Hussein.’ Now he’s a ‘renowned’ weight loss ‘expert’ and a ‘personal trainer’ who has helped transform thousands of lives. However, I couldn’t find anything to verify his claims. For a ‘renowned weight loss expert’, he seems to not have a single social media presence or even articles from authoritative health and fitness sites. And it gets worse. The photo on the left is that of the man posing in the video as Tom Newman on FlatBellyRevolution.com. The middle and right photos are the same. The middle one was taken from an older version of the site, while the right one used to be on the text version of the site. As you can clearly see, the man talking in the video does NOT look like the supposed actual photos of Newman. This clearly proves that he’s nothing but a paid spokesman reading a script from a teleprompter. Now I traced the middle and right photos, and they don’t seem to be stock or stolen photos. So why do I claim that Tom Newman is an unverifiable person? Read on. The rescue led Andrew to discover ‘the biggest breakthrough in the history of weight loss,’ exactly like Tom. My investigation led me to the affiliate page of French Wine For A Flat Belly, where I discovered that it was owned and marketed by a company calling itself Spark Health Media. Honestly speaking, I wasn’t ready for what I discovered: This company is behind some of the most popular scams exposed by Contra Health Scam! I took a quick look at French Wine For A Flat Belly ebook, and it is full of generic information that is of no interest to someone trying to lose weight. On top of that, I couldn’t find any original stuff inside to warrant your spending your money on it. So as you can see, this disclaimer by Shay completely rubbishes Tom Newman’s claim that he has found ‘the biggest breakthrough in the history of weight loss.’ To make matters worse, the information he is trying to sell is already available for free online. And as you may have realized, there is absolutely NO evidence that you’ll lose pounds of fat by just drinking French wine full of ellagic acid! Final Conclusion: DON’T BUY French Wine For A Flat Belly (Flat Belly Revolution). It is a SCAM! This product is marketed by Software Projects. So if you’ve made the mistake of buying it, as for your money back by calling 1-800-218-1525 or using this form. 1. Trim Down Club. For just $1.99, you’ll gain access to an awesome, top-class weight loss guide and recipes designed by certified dietitians and nutritionists. You also get to plan your own meals using your favorite foods and should you have any questions, you can ask the experts or fellow weight losers in the forum. I highly recommend this program so you can either join now or read my review for more details. 2. Eat Stop Eat. This program by renowned nutrition expert Brad Pilon has consistently proved over the years that it is the real deal when it comes to losing weight by practicing the correct type of intermittent fasting. So if you want to lose weight without having to change your current food menu, get this program now or read my review for more details. 3. Organic Total Body Reboot. This program by celebrity trainer and nutrition expert Thomas Delauer is designed for those whose weight loss is caused by chronic inflammation. Get the program now or read my review for more details. These programs guarantee quality and most importantly, they are by real people who will gladly refund you should you change your mind. So go ahead and give them a shot. If you have any contributions to make, the comments section is for you. Thank you!